Who does not know Elvis Presley? He is the 'king of rock n' roll in year 1950 and 1960. Myriad of achievements she has received during his musicians. No doubt, even the glamorous life he felt was the top celebrity at the time. 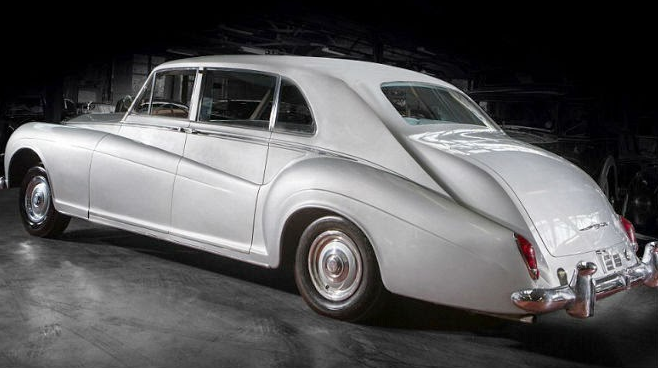 And he collects a lot of fancy stuff in his day, one of which is the Rolls-Royce Phantom V, which was made in 1963. And now, the car has undergone repainting, will be auctioned next month. The old cars have been equipped by telephone, microphone and electric glass, although at times it is still popular. The car was originally dark blue, has now been repainted into a silver color. The plan, this car will be auctioned at The Quail, California, which is expected to be sold for $ .240.000-350.000. The car has a 6.2 liter capacity is capable of accelerating to a speed of 160 kilometers per hour. While the body of the car in still original, so the auctioneer sure, if this car will be sold at a price that has been estimated. For its own collector, car ni more than just goods, but an art and a memento of the legends of rock 'n' roll at the time, Elvis Presley, and the car can be a valuable gift. LS-218, Fastest Electric World Super Bike. Ariel return, Legendary British motorcycle brand.